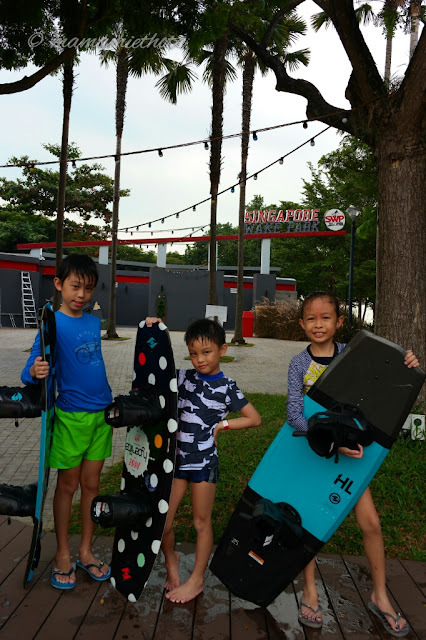 After an adrenaline high and fun activity last week, they have officially declared to me that wakeboarding is the most exciting sport they have ever tried so far. 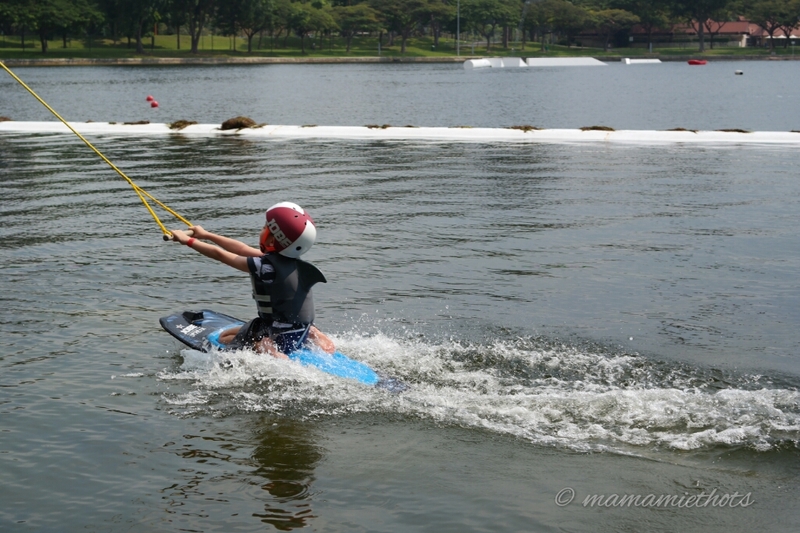 Honestly, I have my reservations before letting the kids have a try on wakeboarding. I guess all my worries have vanished into thin air the moment I saw their excitement and their persistence to try again and again. It was a wonderful experience and they have requested to come back again another day. 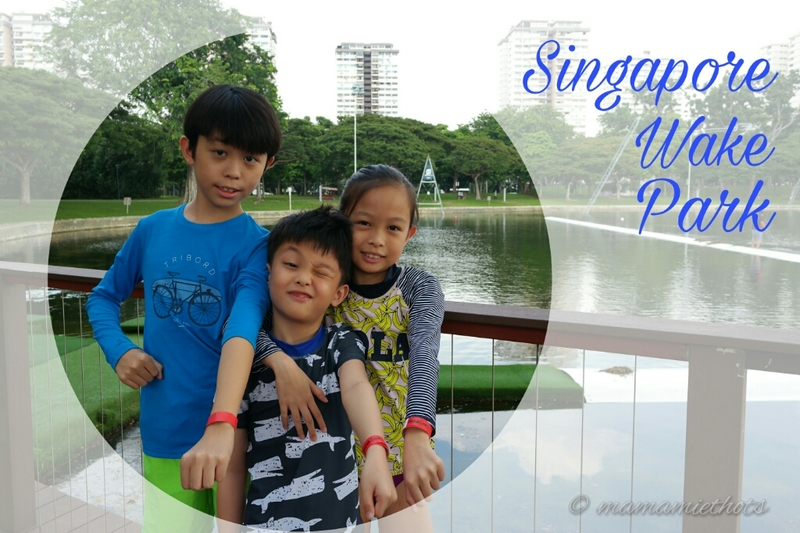 They wanted to know if there are any fishes in the water? Singapore Wake Park was revamped and officially re-opened on 29th October 2016. 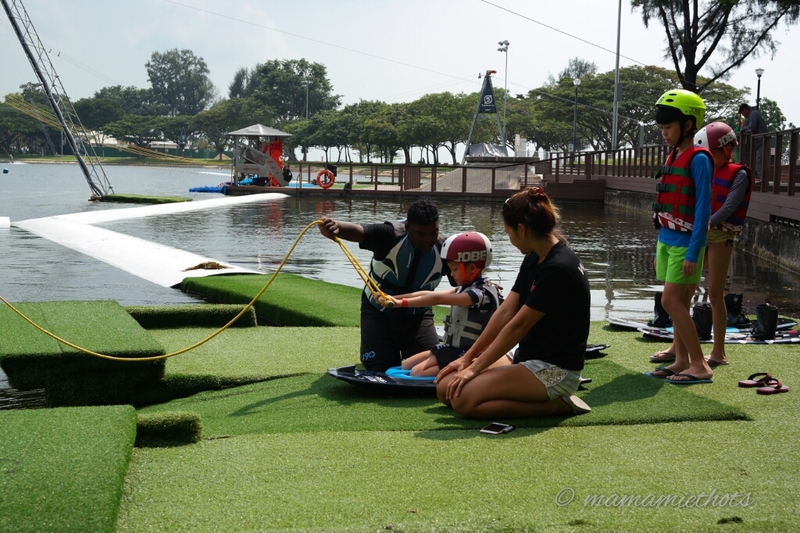 It is the only cable-ski park in Singapore for public to try out kneeboarding or wakeboarding. 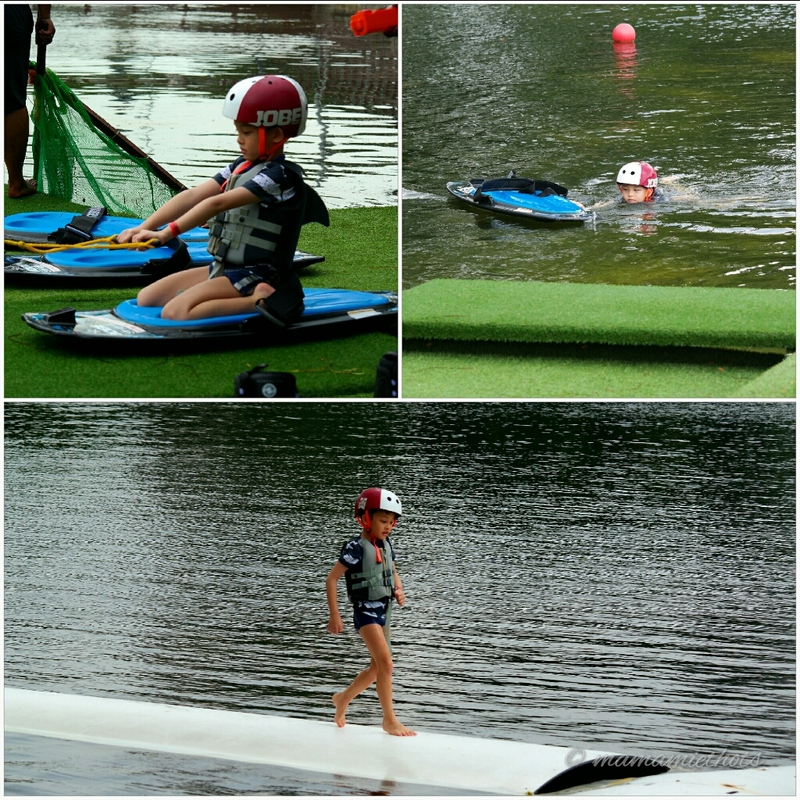 Previously the cable-ski was only catered for adults but now it is available for kids (as young as 4 years old) and beginners to try out the new cable-ski system. 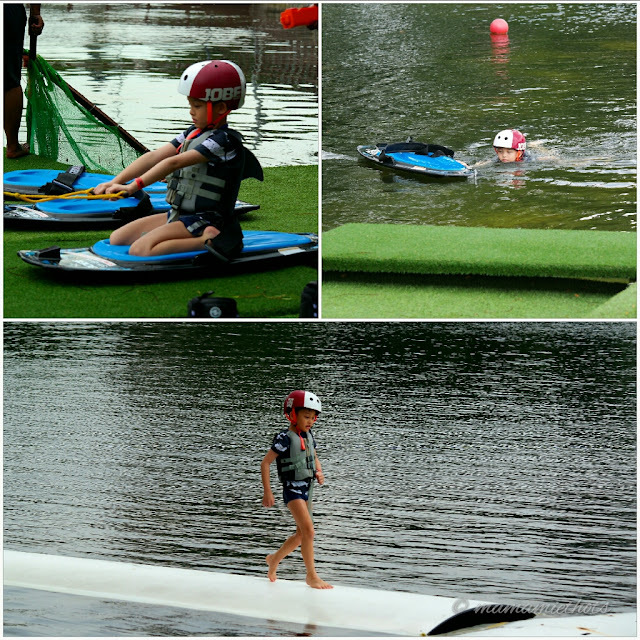 Parents who want their kids to try out a new water sport, this is the place to go. As long as the kid is comfortable and confident in the water, I guarantee they want to try it again and again (because that happened to mine and they still want more after 2 hours of fun). 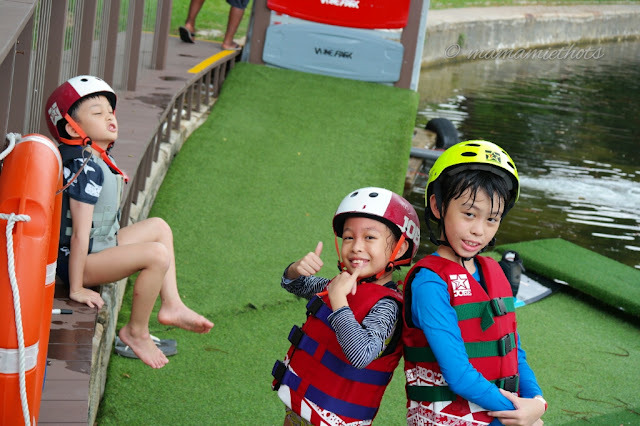 Safety briefings and instructions will be given to ensure everyone understands safety issues prior issuing life vests, boards and helmets to participants. 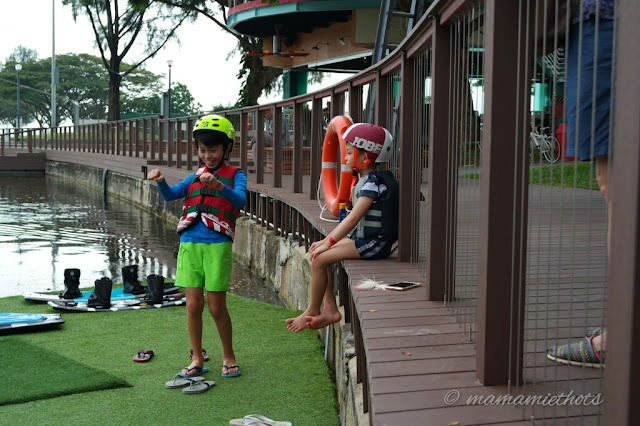 Since it's a child-friendly place, the sizes are catered for children too. Listened to safety instructions properly. 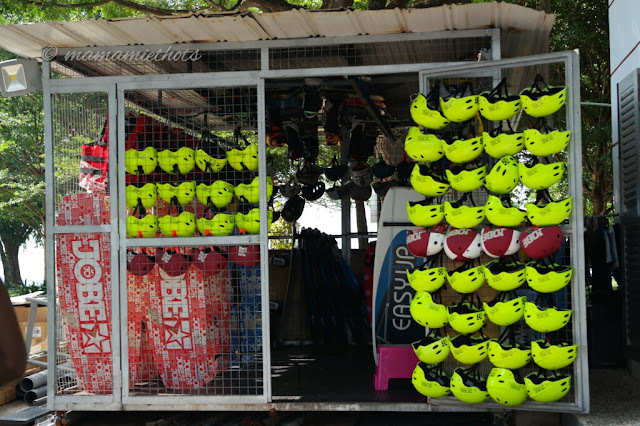 Store room full of life vests, helmets and boards. Crew members are very friendly and patient. 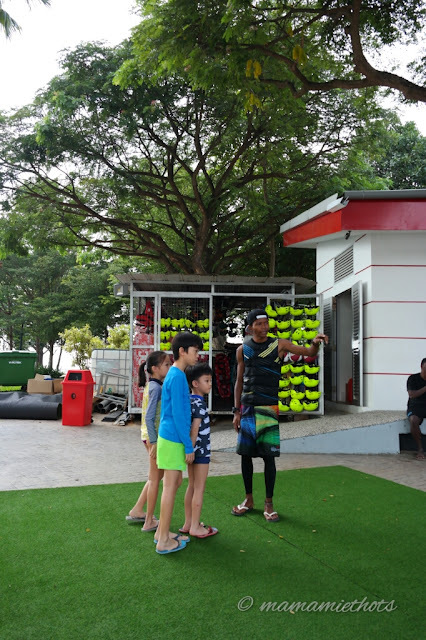 Thus, it does play a big part by making sure the kids feel comfortable and understand instructions given to them. If the board is too heavy for the child to carry back by himself/herself, they will go over and render their help anytime. The crew member gave further instructions. 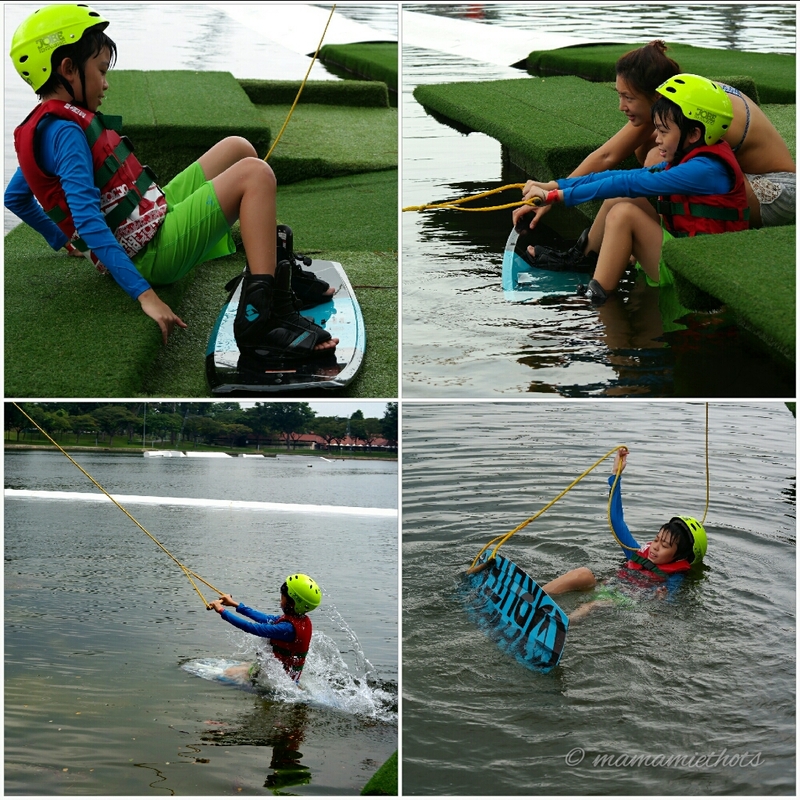 They were told how to hold the rope and used the right posture to start their kneeboarding. Walking back on the floating platform. The shower and changing facilities are clean and spacious. Ample of lockers are available to store your belongings, all you need is to bring your own padlock. Do not fret if you didn't bring any padlock, just purchase one ($3) from the shop. 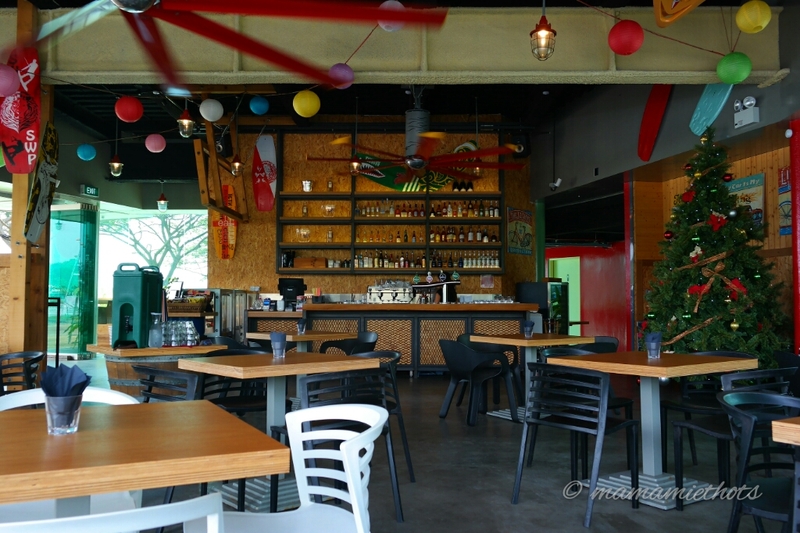 Coastal Rhythm Cafe Bar is situated right beside the Singapore Wake Park, serving local and western cuisines. It is a nice place to chill and relax. 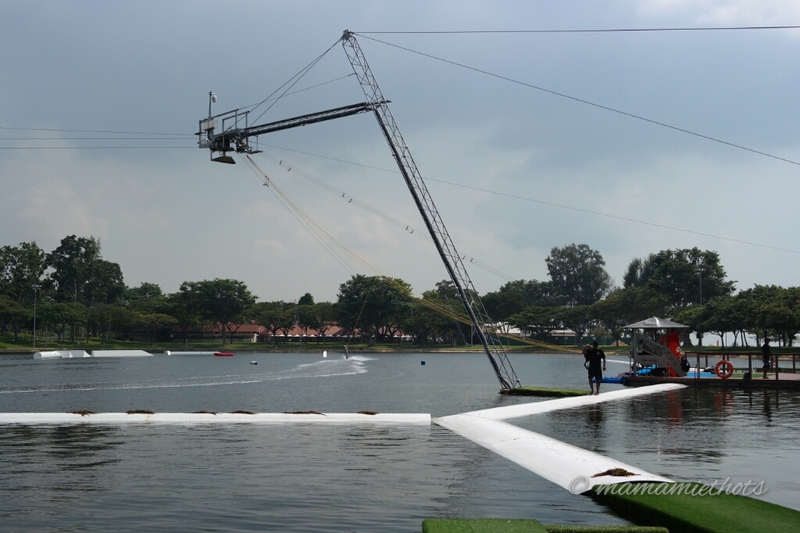 You can enjoy your food and drink while admiring the best view of wakeboarding in action. If you are just like me, who only wants to watch your kids in action. 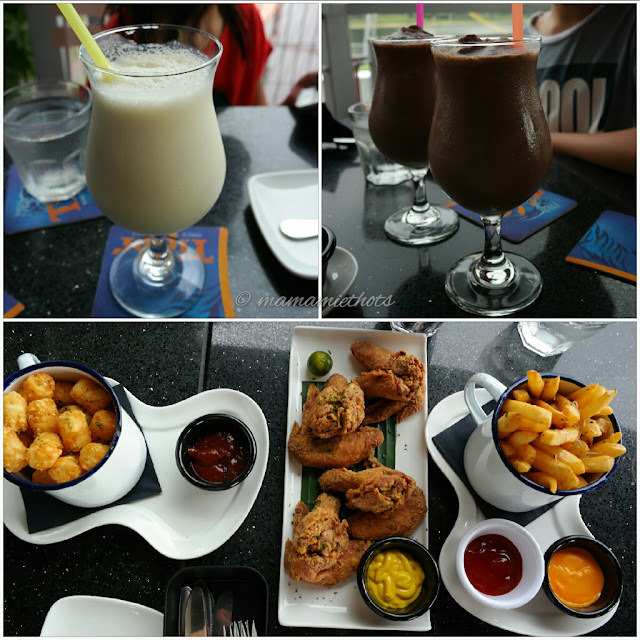 You can escape the heat by having a nice cool drink at the cafe and still be able to watch them at a distance. Singapore Wake Park is the only cable-ski park in the country, where riders can wakeboard, kneeboard and cable-ski with an overhead running cable system. Located in the heart of East Coast Park, the park is family-friendly and aims to enliven the water sports scene in Singapore. 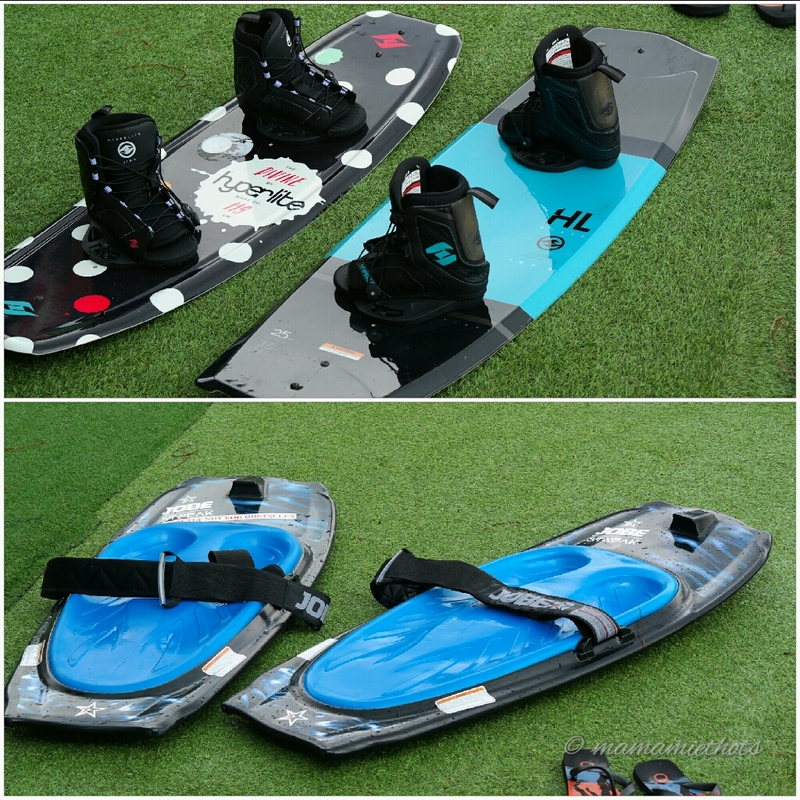 It features two System 2.0s, which can be customized to suit both beginners and experienced wakeboard enthusiasts as well as a full-size cable system with obstacles for the pros to challenge themselves. 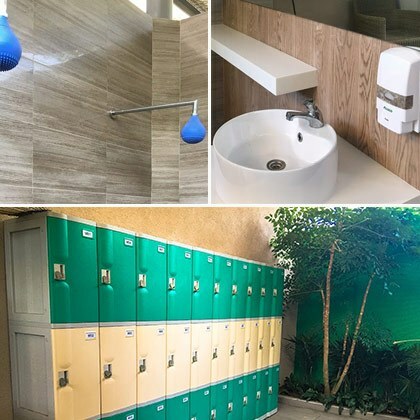 The Park also offers many complementary facilities and services including free wireless connectivity, shower and changing rooms, lockers and rental storage. 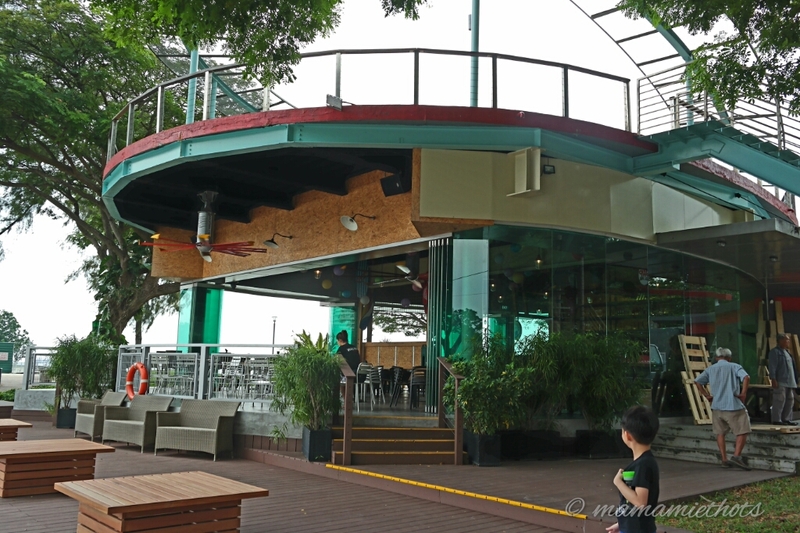 Coastal Rhythm, the café and bar, serves up international and local cuisine for both the public and the Park’s visitors. It is part of the group of restaurants under The Lifecycle Concepts, which runs Symmetry, Xiao Ya Tou, The Coastal Settlement and Contemporary Melting-Pot & Bar. 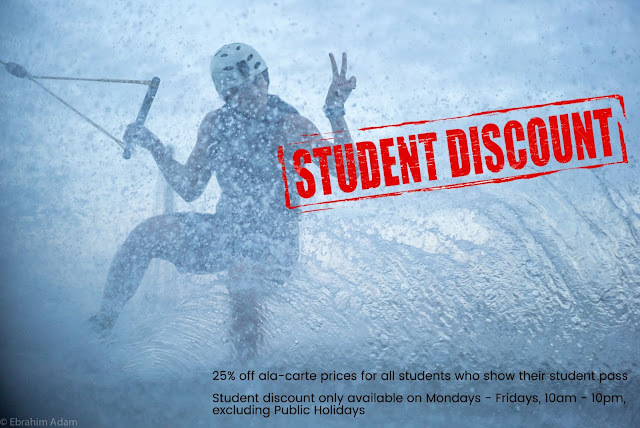 Students are entitled to 25% discount off when they show their student pass. It's a great opportunity to pick a new sport and bonding session with friends. 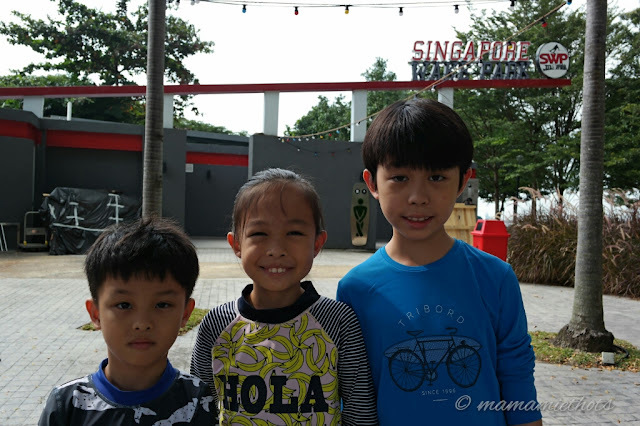 Another promotion (ending 31st December 2016) only for families, just need to quote "Mamamie": 1 parent + child/children = parent pay full price & own child/children ride at half price. 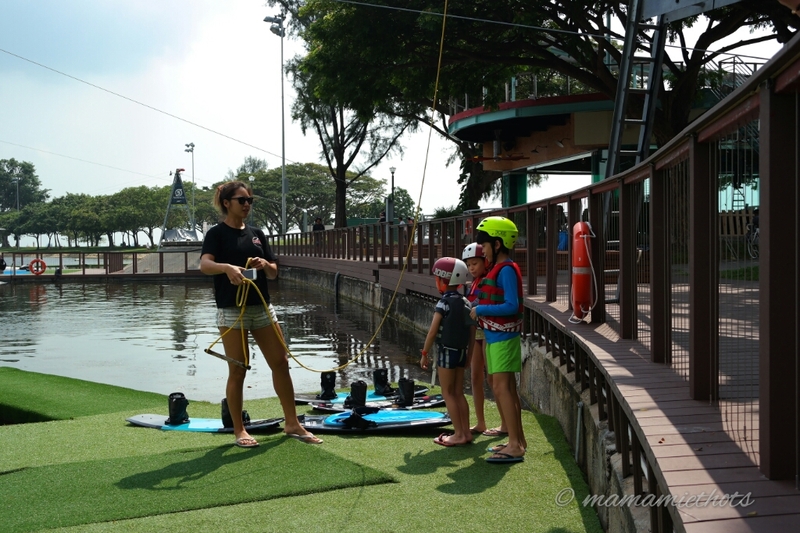 Disclaimer: We were invited for a session of thrilling fun at Singapore Wake Park. No monetary was compensated, all opinions are my own.